Neonazis attacked Klinika. One person was hurt, others were in danger. Activists assume there’s a link between islamophobic demonstrations that were held today and visited by thousands of people. Klinika collective is not afraid and is going to continue its activities. Klinika also calls on people attending such demonstrations to realize whom they are supporting by doing that. We can’t but notice the obvious connection between today’s violence and aggressive moods that are being awakened in the society by islamophobes and xenophobic politicians. We want to highlight the fact that this wasn’t the first attack when those who were showing their solidarity with people running away from their country were targeted. 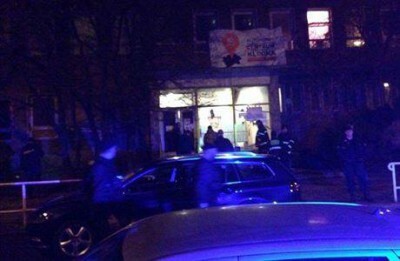 Last week, a man of muslim confession, known for helping refugees, was stabbed in the Vršovice neighborhood (Prague). It is striking that the Police wasn’t able to capture the group that attacked the demonstration before, that no one of them was arrested and that they were moving through the city freely throughout the whole the day. “We are not going to be afraid because of the violence or threats. We are going to continue our solidarity actions and spread the free alternative spaces. The aggression of Czech nationalists seems just like the aggression of fundamentalistic islamic groups whom they claim to fight,” Jakub Ort, member of the Klinika collective, comments on the situation. << Amsterdam: Kolenkit is not for sale!